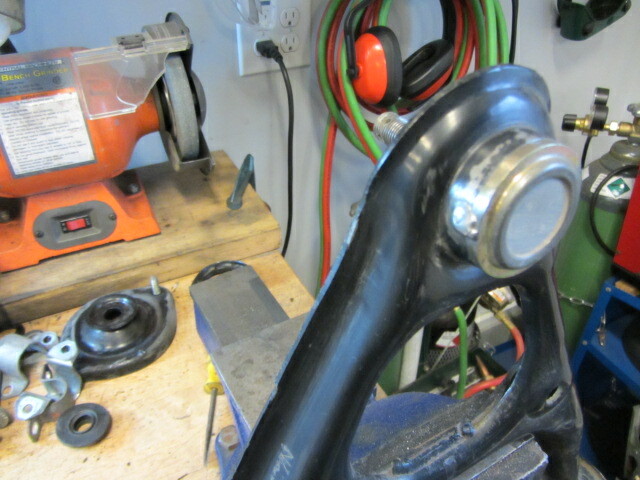 After installing the bushing, I next tack weld the top of the upper ball-joint to the control arm. If you drive at a track with heavy gators, you can pop the ball-joint right out of the control arm, so a tack weld on two sides should do it. Next I replace the rubber boot. Drive off the old boot with a chisel, then to drive the new boot on use a 1 1/4 socket, It works perfectly. 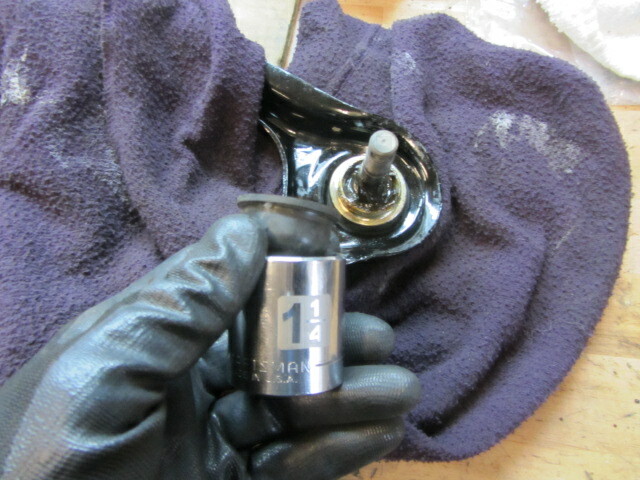 I also run a die over the threads one time to make install a little easier. 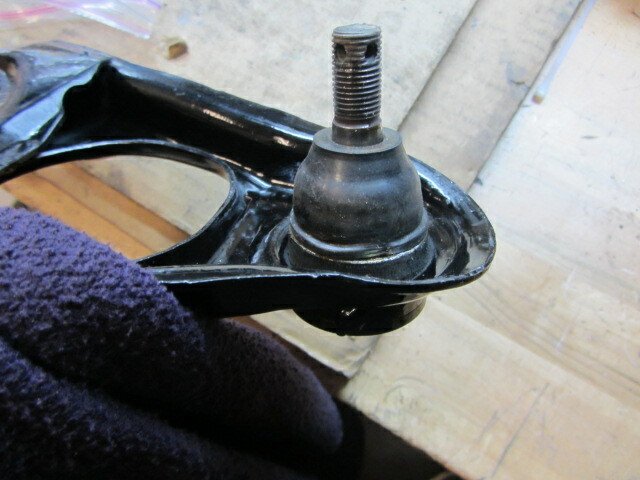 Lastly, install two pop rivets, in the base of the control arm to hold the offset bushings in place. I am not sure if they could move, but we want to make sure they hold their position. 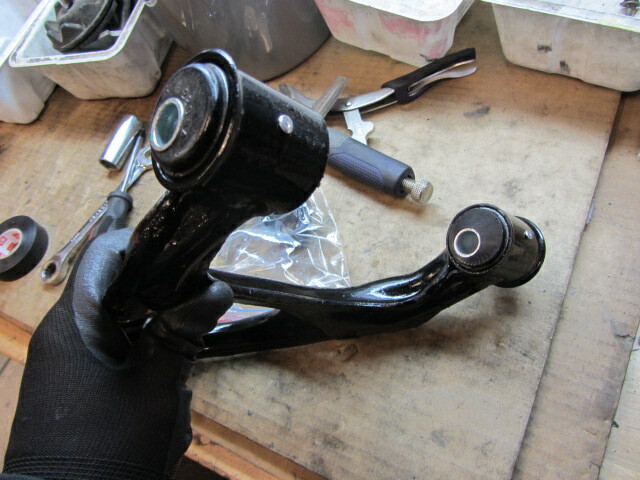 That control arm is ready for action.